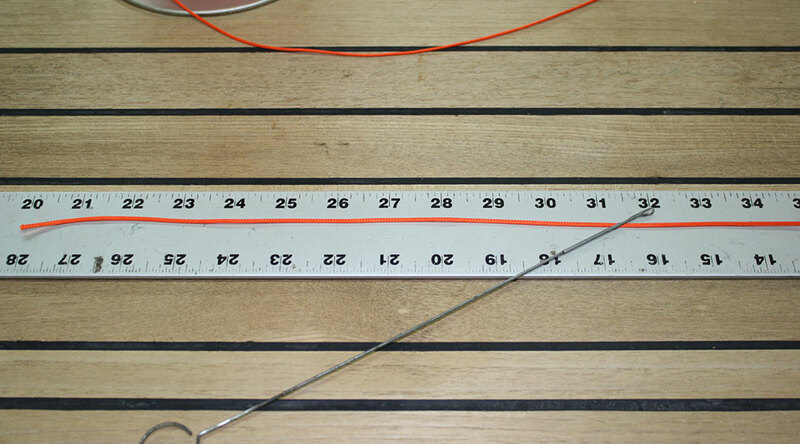 Materials: Hollow-core line, latch hook, length of bent wire, and a ruler. 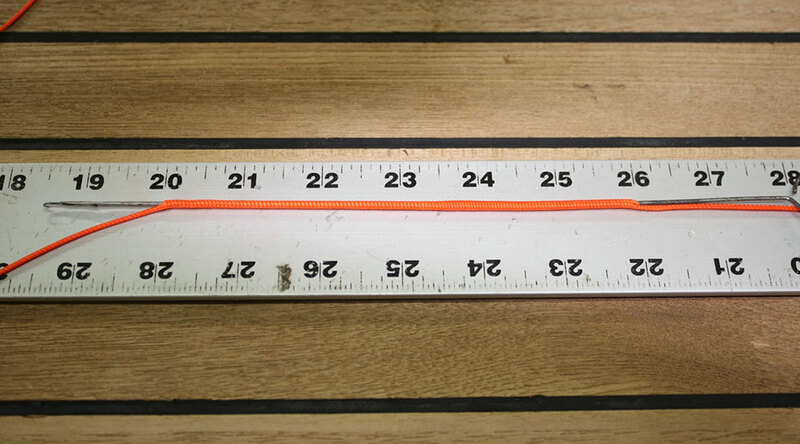 Lay the hollow-core out and measure 12 inches up the line. 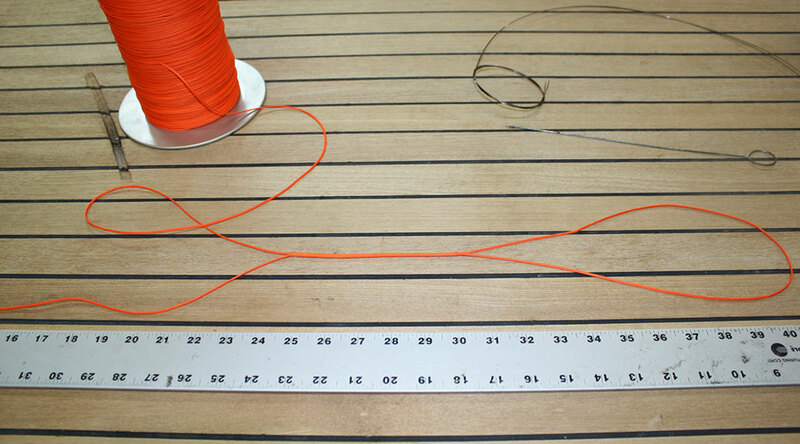 This will be the entrance point for the latch hook. 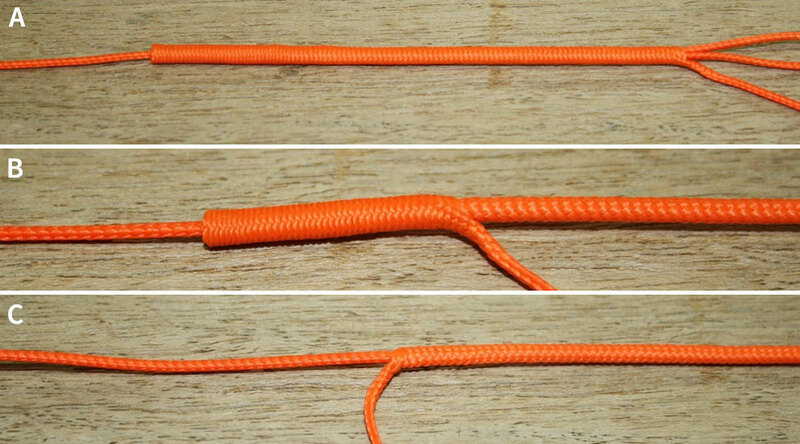 With the hook open, enter the hollow core through the braid, working up the center towards the main line and away from the tag end. 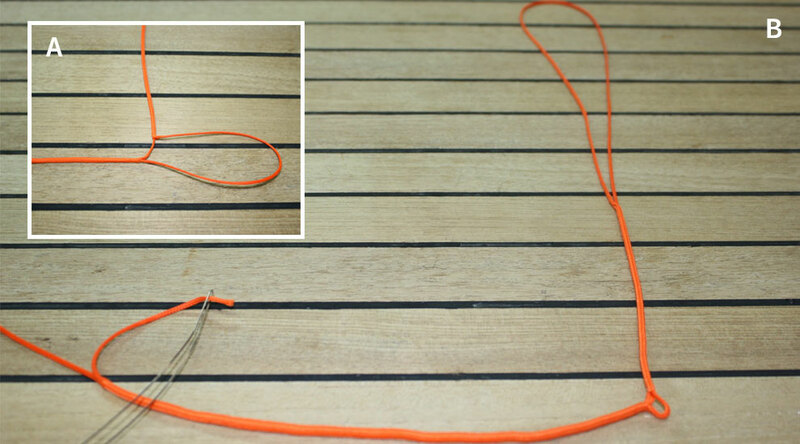 Work up six inches, then pop your hook out between the braids in the line. Open the latch hook and grab the mainline. Close the latch hook. Work the latch hook backwards, carefully drawing the hook back down with the line attached through the center of the hollow core. Work the hook through until you pop out the back side where you started. 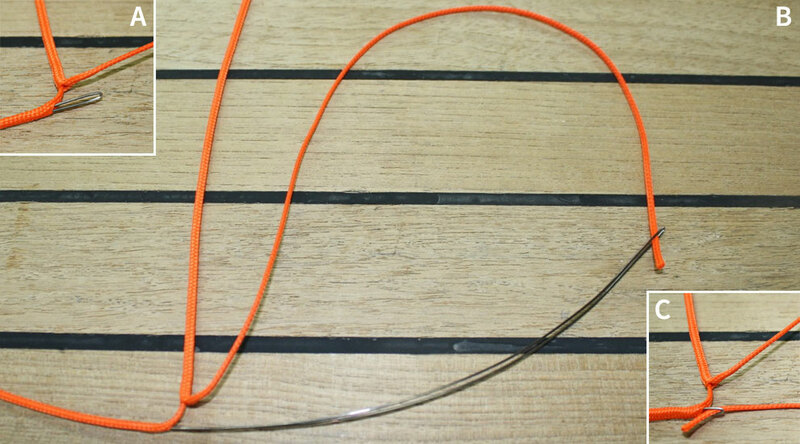 Continue to pull the loop in that direction, eventually turning the line inside out on itself as it straightens. Adjust the loop to the desired size. 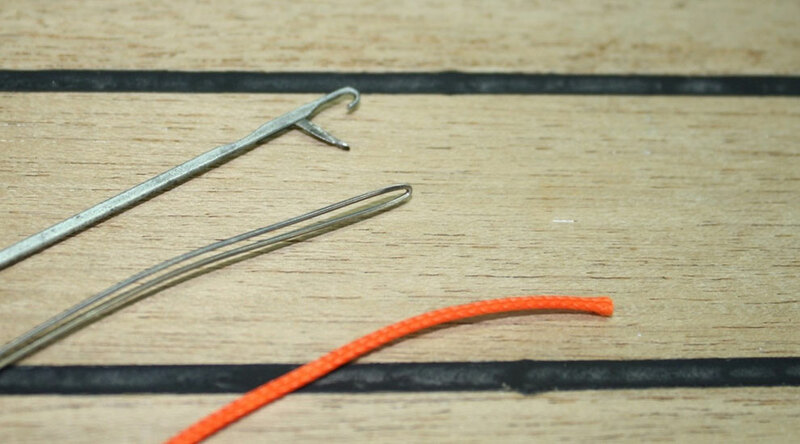 Straighten the tag end out next to the main line. 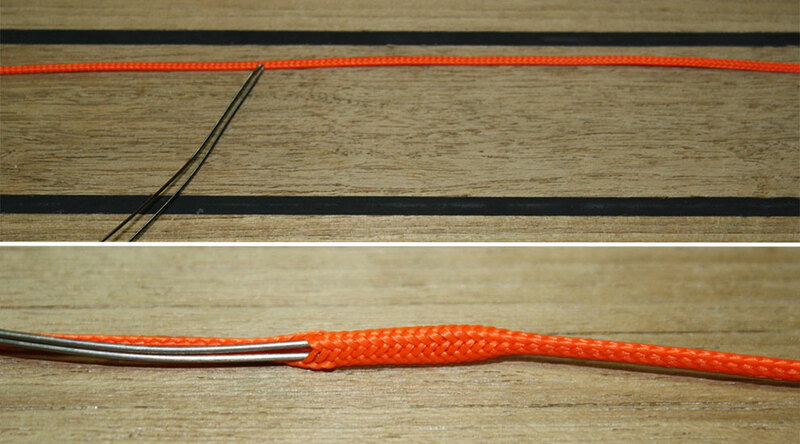 Enter the hollow core with the bent wire about two inches past the tag end, and work back towards the loop joint. 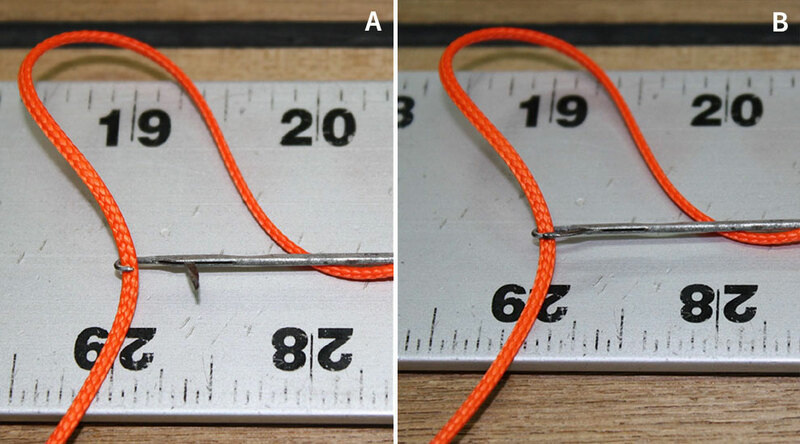 Pop the wire out about 1/4 inch before the loop joint. Thread the tag end through the wire. 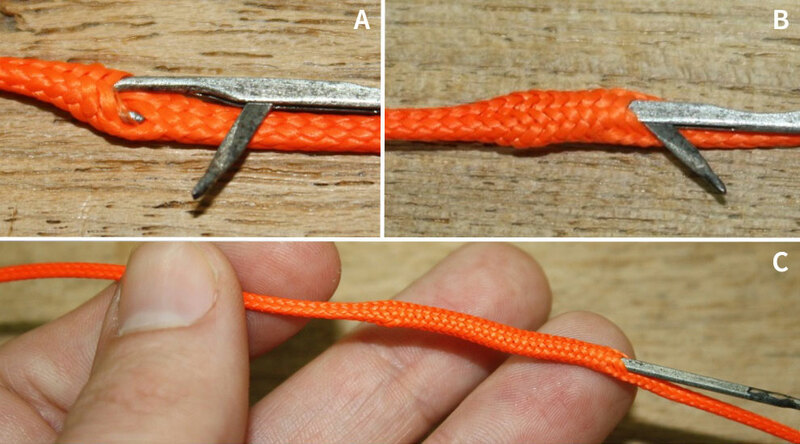 Draw the tag end into the hollow core, and bring it through to the other side. 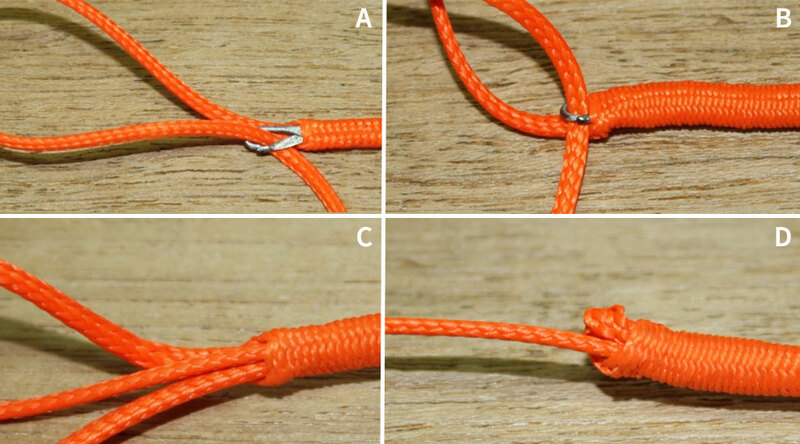 Close the distance between lines by pulling on the inside line at each splice (note: drawing it too tight it will cause it to knuckle). 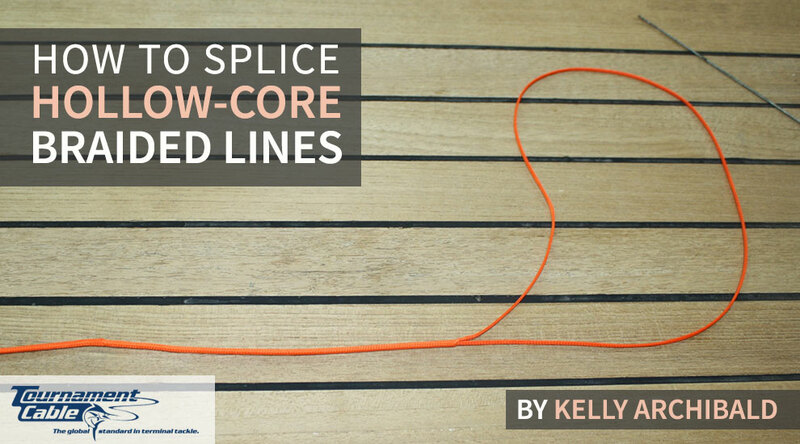 Work the outer lines out over the inner line, straightening the entire line out and causing the tag end draw into the center of the hollow core and disappear. The loop is complete. 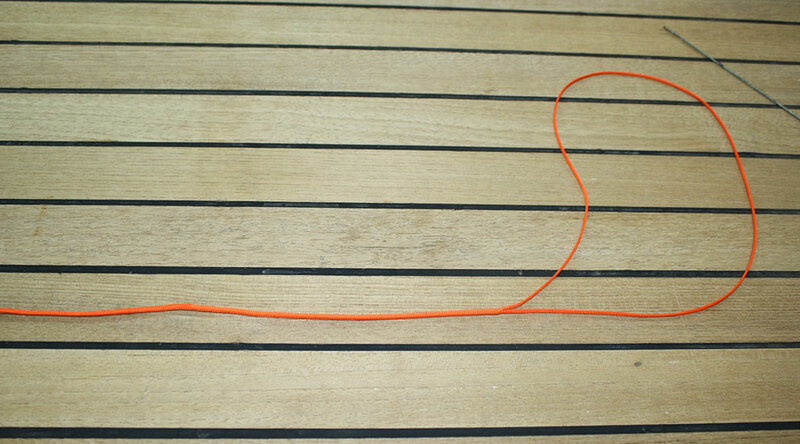 This splice retains 100% strength and is completely self-contained. 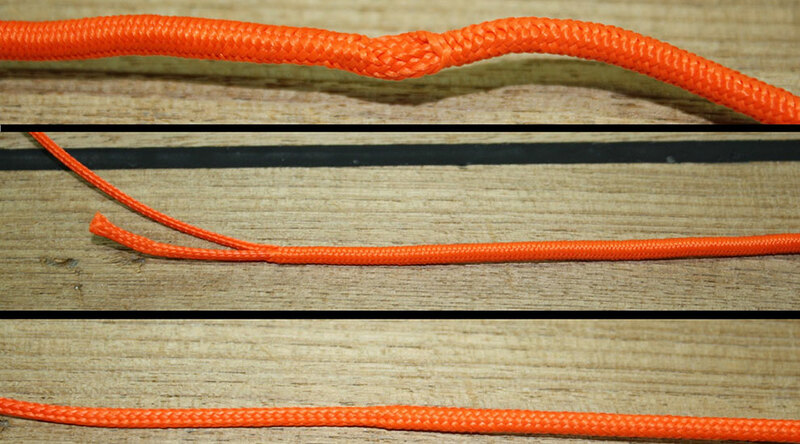 Find the gear you'll need to splice hollow-core lines at tournamentcable.com.